We’re approaching the end of the line! I think this is supposed to be 10 or 12 episodes if it follows the previous seasons. So that means we’re almost done. Sad. But at the same time, while the cases are important and all that jazz, it also feels like there’s less of a connection with the cases unlike with previous seasons somehow. While the relationship between the two brothers with very rare and very expensive to treat diseases was heartbreaking, at the same time it just didn’t jive all that well for me. Something felt like it was missing that could make it a tad more believable. The younger brother did to an admiral job, but it felt a bit like his acting in certain points might have been the issue, not that he’s a bad actor at all.. During this time, we’re also digging deeper into the mystery behind Jae Joon’s case and his death. Just what is going on? Ah, and of course we have to add yet another Jin Woo-only mystery surrounding Da Mi. But we were all ready for that weren’t we? We open with Psycho Stalker knocking on Jae Joon’s window which is seriously tinted. Dude, if his window wasn’t so tinted, maybe he could have escaped with his life. Who knows, though? We then have our couple find the body and then Doo Mong and his team are at the scene of Jae Joon’s death. He’s trying to talk to Kyung Hee who can only sit silently and cry. Jin Woo tells him to just wait on everything. Doo Mong walks away to see what his team has found and Jin Woo tells Kyung Hee to let it all out and cry tonight because tomorrow she needs to be levelheaded so they can start investigating this in earnest. Kyung Hee completely breaks down and sobs. She believes Jae Joon’s death is all because of her. Eh…did she forget that it was Jae Joon himself who brought her that case? She didn’t get him involved in something dangerous, he got her involved. We then cut to the case this episode splits its focus on. We have a young man with an eye patch trying to get money out of an older gentleman who refuses to pay and give any idea of when he’ll pay what he owes. The young man, Woo Min I think, rolls up his sleeve and carves the word “now” into his flesh. Well…a sick and twisted tactic to get your debtors to pay by inflicting harm on yourself. I think it’s pretty obvious from the get go this go has pain issues. Sure there are masochistic people out there who enjoy pain, but given the nature of this show, you know it’s a pain sensitivity issue and nothing really psychological. While this is going on, firefighters return from duty and one of the Woo Chul collapses dead. The next day Jin Woo and Kyung Hee discuss the case at hand. It turns out that Kyung Hee hadn’t seen Jae Joon in 10 years and then he shows up out of the blue and hands over the case. Why didn’t she think that was suspicious? I guess because of what was going on at the time, it just really didn’t register to her. Ah, and it’s only been one month since the show began and Jin Woo woke back up. Jin Woo knows she doesn’t want to think this, but he has to say it. What if Jae Joon was just using her? He passes this mysterious case over to her because he knows it’s a ticking time bomb and has no idea when, where, and on whom it will all explode. Before they can talk any more a prosecutor shows up to begin the investigation. The prosecutor asks all the questions that the cops normally would. Kyung Hee and Jin Woo are not happy to hear they are prime suspects at the moment since Jae Joon died on his way to meet them. The prosecutor asks lots of questions about Jae Joon’s life and if he’s made any enemies or had any threats of late. Kyung Hee is angry. He’s an old chum who came back into her life after 10 years and then for only a month before all of this happened. How the hell is she supposed to know what was going on in his life? Both she and Jin Woo do keep mum on the case Jae Joon handed over. When the two go back to the office they learn that the prosecutors came in with no warning and only told them they were taking everything related to Jae Joon’s case. So there goes all the evidence and the body before there was an autopsy. Kyung Hee wants to confront the prosecutors, but Doo Mong says he’ll do it and Kyung Hee should just concentrate on the firefighter case that just came in. Jin Woo seconds this because he believes it’s also best. We then get more pointless scenes between Shi Woo and Tae Kyung. It’s pointless because he’s still investigating Jae Joon’s case and hiding it and Tae Kyung is getting all upset that he’s cyberstalking his ex (which was his cover up with Jin Woo if you remember from previous episodes). Not feeling their romance is all and the interactions between the two really seem more awkward and less believable when they do it this way. Anywho, the team is saddened to be working in the death of a nation’s fireman. They will do their utmost to discover his exact cause of death. Woo Chul’s original diagnosis was pulmonary thromboembolism. Which should sound familiar to people even if you don’t know much about medicine. These are blood clots in the lungs. They are not usually the primary cause of death, but with other factors can help lead to death. I know a bit about lung diseases thanks to the problems my grandmother has. 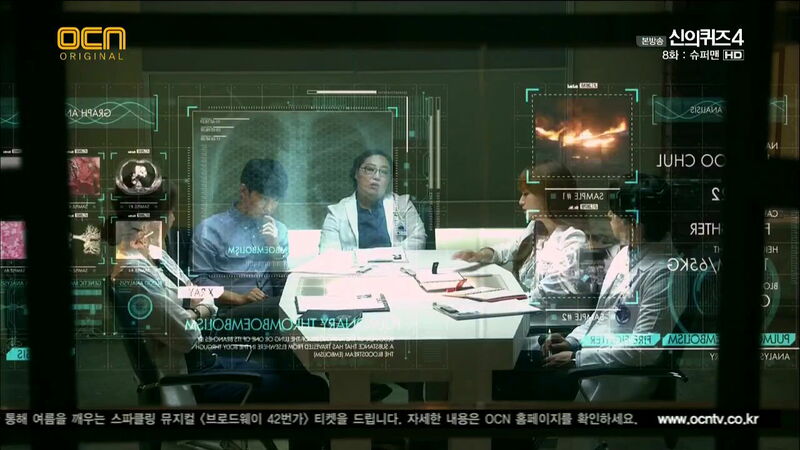 The autopsy begins and while the team discovers the disease, they can’t really say it was bad enough to directly cause Woo Chul’s death. Jin Woo has them lift the body so he can see the man’s back. There is a very deep and old scar along his vertebrae. Thus he orders a full workup of Woo Chul’s spinal fluids and also a biopsy done on his brain to see if they can discover anything else. It is nice to see how they always honor the dead in this show. This body they give extra honor and attention to because he’s a firefighter whose scars are his medals and show how hard he’s worked to save people’s lives. They even comment on how sad it is t hat firefighters are not awarded real medals for all their harrowing deeds. Doo Mong is struggling with the prosecutors. They refuse to tell him anything or let his team investigate the case at all. The usual two detectives are standing by his side. IT’s customary for the prosecution to give reasons why they are taking over a case, but they refuse. This doesn’t really surprise Doo Mong, though, because a prosecutor has died mysteriously, the office is going to do everything they can to investigate on the down low and to keep whatever it is from the public. Sounds rather bad, doesn’t it? Kyung Hee and Jin Woo go to Woo Chul’s funeral where they hear from his fellow firefighters that no matter what happened to him, he was always there protecting others and getting the job done. Even when he was hurt, it seemed like he wasn’t phased at all. Enter Woo Min. He’s very abrasive and he curses at his brother for dying like that for little thanks just like a dog. This angers the other firefighters and one has to be held back to keep himself from beating the young man to a bloody pulp. Every one is disgusted by Woo Min’s behavior and his quick demand of his brother’s money since he died. Kyung Hee and Jin Woo take Woo Min outside and he takes out a lighter and burns himself without blinking an eye and insists he’ll keep doing such things if they keep nagging at him. Jin Woo is also shocked to see the wounds on Woo Min’s arm. 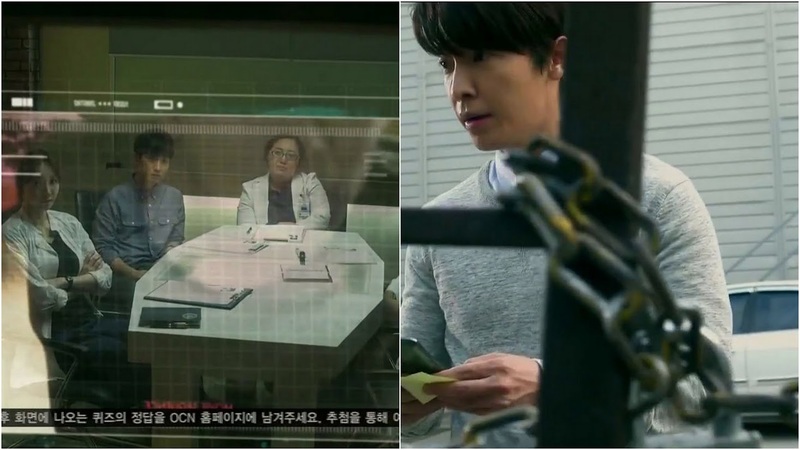 Shi Woo lies about going to the hospital to watch a special autopsy to learn and he goes to the waste site Kyung Hee visited earlier. He’s spotted by someone who was there to take the labels off the barrels and they call Psycho Stalker up. Looks like Han-goon is in big trouble now. How long will he keep his own investigation a secret? If previews are to be believed, until the next episode at least. Anywho, while Shi Woo is doing stuff he’s not supposed to be doing, Kyung Hee and Jin Woo look around Woo Chul’s meager little room which has tons of pain medications. They also find a very touching video the hyung left to his dongsaeng. He loved his little brother so much and yet Woo Min acts that way? How horrible. Jin Woo then goes back to the funeral where Woo Min is now dressed in mourning clothes and drinking. Jin Woo drinks with him and asks some questions as he is wondering if the two brothers might have the same type of medical condition. Of course Woo Min is nothing but abrasive and doesn’t want to answer any questions at all. Kyung Hee wonders why it seems Jin Woo is so personally involved with this case. Jin Woo knows he can’t fool her and says it’s because he’s an only child. It was lonely without any siblings at times and thus this case hits home more. It may be overstepping their duty, but he wishes to let the dongsaeng know just how deeply the hyung loved him and cared for him. The two part ways here as Kyung Hee needs to see Doo Mong. Oddly enough she goes to her sunbae that she loathes for help. She needs someone she can trust to help investigate this mysterious case on the down low. Doo Mong points out that she doesn’t trust. Kyung Hee replies that is why she’s giving him a chance to prove to her that he can be trusted. He looks the case over and doesn’t see why such a thing would be considered confidential at all. He agrees to help out and says he will bring his team in, too, because they are good at keeping their mouths shut. Really? Kind of hard to believe given Tweedle Dee and Tweedle Dum. Well, I think Doo Mong has been proving himself bit by bit to her, so here is his big chance to show he’s not a slimeball like she’s believed him to be all of these years after whatever incident that they’ve never explained. 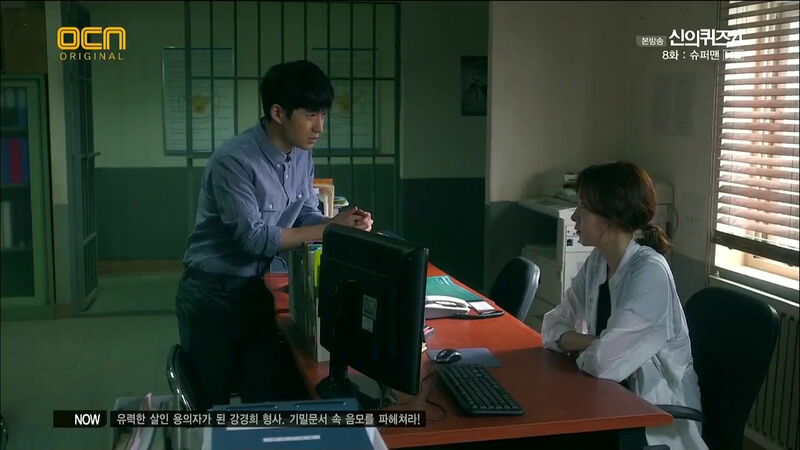 Jin Woo is wondering where Shi Woo was and the young man lies about scoping out an autopsy at the hospital. Jin Woo knows he’s hiding something. Enter Tae Kyung. She’s upset that Jin Woo lied about going to the hospital. She said it totally straight-faced that his expression gives everything away and this startles him and makes her unhappy to learn that her random comment (which didn’t seem random) was true. Their relationship is definitely staggering and not developing, so I do wonder why it’s there. Jin Woo and Kyung Hee meet at his place to discuss the Jae Joon mystery and he explains the difference between the biohazard stickers that are used. The one seen on the barrels in the picture and from when Kyung Hee checked out the site are for the lowest level of waste. There is this mystery because the company handling this stuff wasn’t qualified to deal with waste management. This means that having those barrels out there, even with those stickers, was a definite message. Someone wanted somebody to see. But who and for what reason? Back to the case of Woo Chul. The spinal cord injury he suffered could mean he was either prone to paralysis or chronic pain. Jin Woo’s guess was that the firefighter suffered from C.I.P.A., because people with C.I.P.A. aren’t able to sweat well and are insensitive to pain and temperature, and being in a hot environment meant they could die thanks to a fever. However, Woo Chul’s results doesn’t show signs of this disease. I am sure we can all guess who does—Woo Min. Jin Woo heads to the firehouse to pay a visit to Woo Chul’s fellow firemen to learn more about him. There is Woo Min making a big scene because he still hasn’t received his hyung’s payout. Sheesh. He’s definitely not showing himself as a human being who loved his older brother, huh? Jin Woo does get confirmation that Woo Chul didn’t showcase pain and always got right back up. He also learns that Woo Chul could withstand higher heats then any of the other firefighters. One very unusual thing is that the man did a lot of things with only one hand that most firefighters definitely needed two hands for. Jin Woo searches the man’s locker and finds some more pills. He’s almost got this puzzle completed. Kyung Hee and one of Doo Mong’s men arrive at the warehouse and find all the barrels have had the stickers removed. They then open one up and whatever it is has a very powerful stench. Kyung Hee looks very surprised and confused. Just what is going on here? They return to the station where everyone sits down and thinks out loud what all of this can mean. The owner of the company was found dead (supposedly due to a hiking accident in the mountains) and they still have not tracked down the person who made the claim. Just what was the significance of the barrels, the stickers, and the picture of the man who died. If there was just normal food waste in the barrels, just what the heck is going on? So far there are no answers, just more questions. Jin Woo gets a call saying they have located Woo Min’s last doctor. 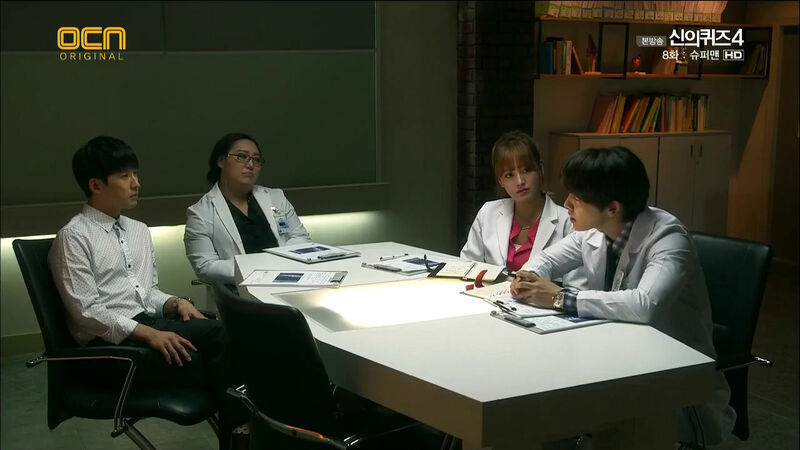 The doctor tells Jin Woo that Woo Min was insistent on stopping the expensive treatments and that the doctor needed to see his hyung instead who is far worse off than Woo Min. However, after that conversation, neither brother was heard from again. Looks like Woo Min was bound and determined that his hyung had the same disease and he would rather forgo the treatment himself in order for his brother to be treated. Meanwhile, our investigators ran the photo of Psycho Stalker and his prints and get no hits. Kyung Hee has a revelation, the man is probably a foreigner—a professional hitman. So…what can we conclude from that? Jin Woo stalks Woo Min and finds him getting beaten before having some man throw money at him. Woo Min gets to his feet and collects the money. He then gets a phone call and yells at the person for not telling him earlier. He goes to an ATM and transfers money into an account. Jin Woo picks up the dropped slip of paper and studies it. He then finds Woo Min scarfing down some food dry and hands him a yogurt drink. Woo Min accuses him of following him to which Jin Woo staunchly denies and says he was just in the area. Riiight. Anywho, he then tells Woo Min that he tries his hardest to see people as humans and treat them as such even if they show no sign of being human. He does tell the young man that he is really starting to see human aspects in him and tells him earnestly to get treatment to get his disease under control. This really seems to hit the young man hard. After this last meeting with Woo Min, Jin Woo begins processing everything new he’s learned and his super smart brain finally puts everything together. 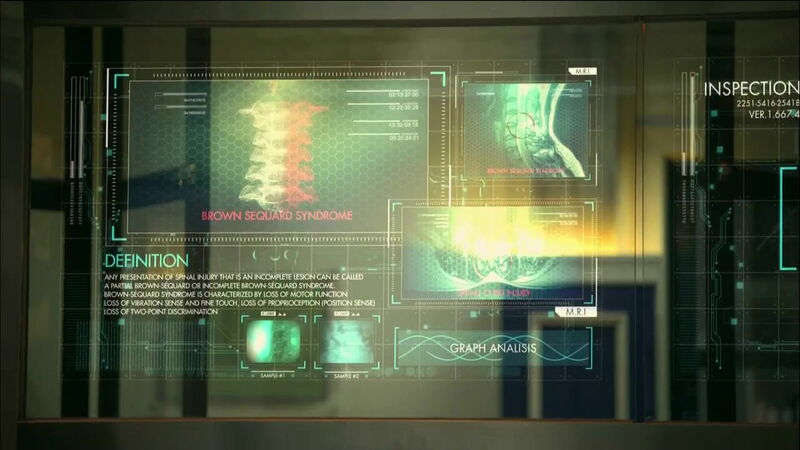 He announces at the next meeting that Woo Chul had the very rare and expensive to treat disease Brown-Sécquard Syndrome. Like C.I.P.A., there is insensitivity to pain and temperatures. This is a spinal cord injury in which the cord wasn’t completely severed. Due to the nature of this injury, since Woo Chul was in a confined, super hot space for 10 hours fighting the fire and rescuing factory workers, when his system returned to a normal state, it received a shock and that is what killed him. Even more so, Jin Woo knows that Woo Chul was completely aware of the fact he had this disease and he chose not to treat it…to save money to treat his dongsaeng instead. So Kyung Hee and Jin Woo meet with Woo Min and tell him the true story behind his brother’s death and the syndrome he had. Woo Min then tells their story. Orphaned, they ran away from the home and lived on the streets. Woo Chul went out of his way to protect his baby brother. Since Woo Min has C.I.P.A. he didn’t even know he had ruined his eye by itching it all night and Woo Chul always blamed himself for that. Woo Chul also saved his brother during a fire by protecting his body when a door fell down and that’s how he got the spinal cord injury. We also learn that Woo Min has been desperately saving money to treat his older brother. He also makes regular donations to a center developed to treat children with rare diseases just like Woo Min and Woo Chul. The young man completely breaks down. He tried his best to be bad so that his hyung wouldn’t keep blaming himself for everything and would get treatment. We also learn that Woo Chul was working hard to find a cornea donor to repair his brother’s eye. His final gift besides his meager savings was actually finding a donor (albeit this did happen posthumously). Woo Min is then allowed to watch his brother’s final message to him. You do want to hug the poor man even though I think it’s here that his acting suffers a bit. We end with Jin Woo going to visit Da Mi and meeting her father. The two talk privately and Jin Woo talks about how Da Mi requested he find her birth mother. The father doesn’t know where his ex is, but believes he can find out easily. Jin Woo then pries a bit asking why Da Mi’s mother ran away. That was a private matter between husband and wife. Jin Woo leaves and the man calls someone and tells them it’s time to come in as Jin Woo must have discovered something. What the what is this? And do we need this on top of our other mystery? Or will this somehow tie into Jae Joon’s case? Who knows. We get a cliff hanger with Jin Woo going to Kyung Hee in time to see Psycho Stalker pull a gun and shoot her repeatedly in the chest. I’m thinking given the previews this just might be a nightmare and not reality. We’ll see this Sunday, won’t we? The reason I’m willing to bet on dream is they show clips of Kyung Hee walking around just fine. I also do think it’s a bit odd for a professional hitman to just walk up to a person in a public space, point a gun, and shoot point blank. Doesn’t that seem a bit more conspicuous? And now I’m flashing back to the mini series The Last Don (based on a novel by Mario Puzo) in which the mob bosses had two types of deaths. One in which the body was meant to be found and one in which the body was meant to never be found. Funny what little things can trigger you to recall something else. Sad story of the two brothers. Made me totally forget the rest of the drama, those last 10 minutes. It was sad esp since the younger bro became “bad” out of guilt to his hyping & so they couldn’t spend much time together before he died.